Painful areas are called tender points. Tender points are found in the soft tissue on the back of the neck, shoulders, chest, lower back, hips, shins, elbows, and knees. T he pain then spreads out from these areas. 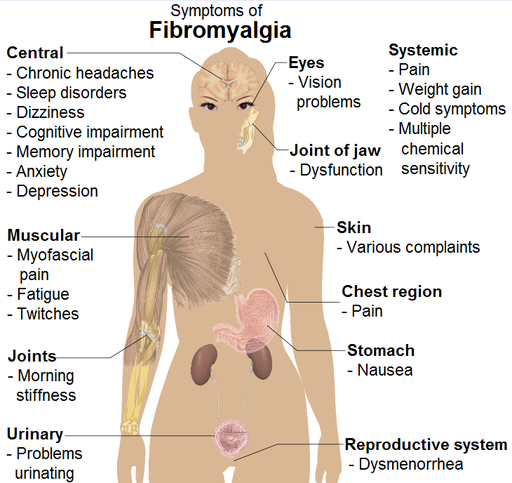 People with fibromyalgia tend to wake up with body aches and stiffness. For some patients, pain improves during the day and gets worse at night. Some patients have pain all day long. Pain may get worse with activity, cold or damp weather, anxiety, and stress. The goal of treatment is to help relieve pain and other symptoms, and to help a person cope with the symptoms. If these treatments do not work, your doctor may prescribe an antidepressant or muscle relaxant. The goal of medication is to improve sleep and pain tolerance. Medicine should be used along with exercise and behavior therapy. Cymbalta, Lyrica, and Savella are medications that are approved specifically for treating fibromyalgia. 1. Aspartame (NutraSweet) – Foods sweetened with aspartame could exacerbate fibromyalgia symptoms. There is a pain receptor in the nervous system known as NMDA. When pain turns from acute to chronic, it involves opening the NMDA pain receptor. Aspartame, which is classified as an excitotoxin, helps to stimulate this event. People with fibromyalgia appear to already have overly active NMDA pain receptors, making them more susceptible to the stimulation. 2. Food additives including MSG (monosodium glutamate) and nitrates — MSG is an additive or flavor enhancer that’s found in many processed and frozen foods and in some Asian cuisines. It can intensify pain symptoms in many individuals. Like aspartame, MSG is classified as an excitotoxin and has the same potential for affecting NMDA receptors. The same is true for foods containing preservatives such as nitrates, commonly found in lunchmeats like ham or bologna or in bacon. 3. Sugar, fructose, and simple carbohydrates – Reduces symptoms of chronic yeast infection, which is a fungus that thrives on sugars and may be a secondary condition contributing to the pain of fibromyalgia. Cutting out carbonated beverages sweetened with fructose may yield even more noticeable results. That’s because the carbonation causes a metabolic reaction. This reaction results in much more sugar pouring into the blood much more quickly. It’s this quick rise in blood sugar by the subsequent fall that exacerbates the fatigue element of fibromyalgia. That, in turn, creates more cravings for sugar, followed by still more fatigue — allowing a vicious cycle to develop. Cutting out the sugar, particularly soda, can result in better, more even control of blood sugar. Better control will help reduce fatigue and at least some of the related pain. 4. Caffeine, including coffee, tea, colas, and chocolate — Because it is considered a stimulant, many fibromyalgia patients turn to caffeine-rich beverages as a source of energy. The boost you get is false — and can quickly exacerbate fatigue. The problem with caffeine is that the ‘up’ is relatively brief, and it’s followed by substantially longer and deeper sedative effect. Because people with fibromyalgia are already tired, those sedative effects can be much more powerful. They are starting off from a point of fatigue, so the sedative qualities are amplified, leading to a much deeper and long lasting sense of fatigue. The good news is that cutting out caffeine can make a difference within less than a week. 5. Yeast and gluten — Although these are two separate food substances, they frequently appear together, particularly in baked goods like cake, donuts, and bread. For this reason, cutting out one, usually means you are cutting out both. 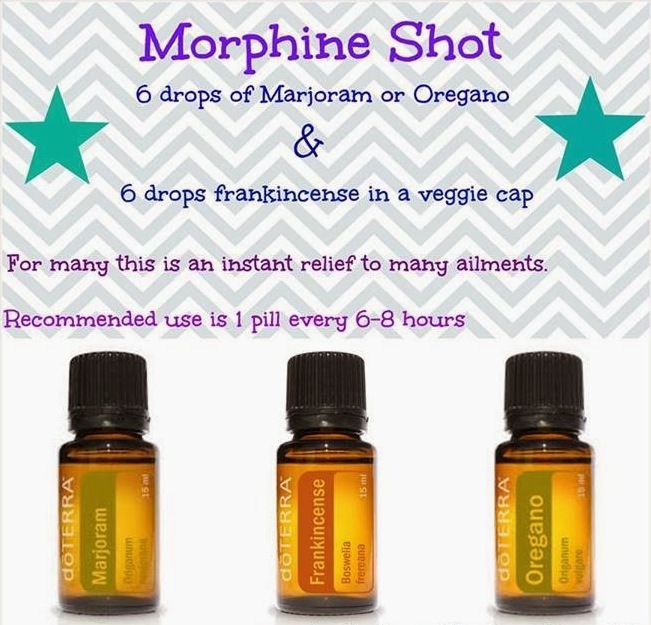 That can actually yield two separate benefits for people with fibromyalgia. In the case of yeast, some doctors say it fosters the overgrowth of the yeast fungus in the body. This overgrowth may cause or exacerbate much of the joint and muscle pain experienced by people with fibromyalgia. Gluten can exacerbate a condition known as gluten intolerance. Gluten intolerance frequently results in a variety of stomach ailments and other digestive problems. 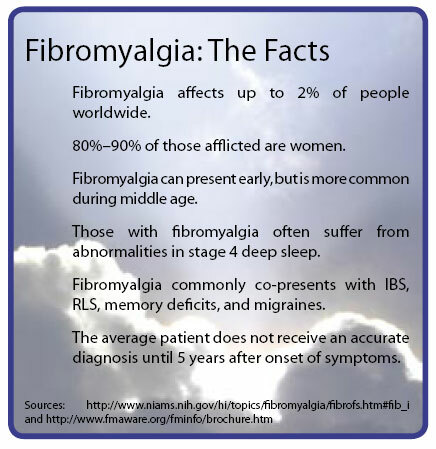 It also is associated with fatigue in patients with fibromyalgia. 6. 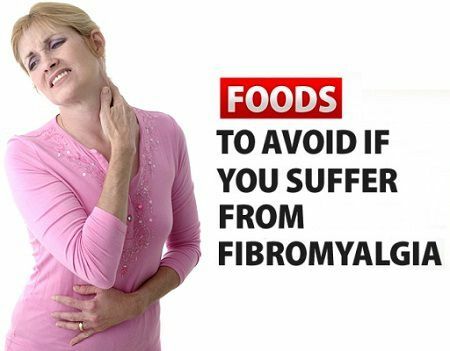 Dairy — Dairy products, particularly milk, have been known to drive the symptoms of fibromyalgia. Avoiding these products may help some people turn their health around. Dairy causes inflammation in the body, particularly an ingredient called carrageenan. Almond and coconut milk both have higher calcium and Vitamin D levels and no hormones, and a longer shelf life. Use in every day recipes in place of cow’s milk. 7. Nightshade Plants: Tomatoes, chili and bell peppers, potatoes, and eggplant – The plants are some of the most nutritious, so if they don’t trigger your fibro pain, don’t ban them from your fridge. 8. Cut down on carbs — About 90 percent of fibromyalgia patients have low adrenal functioning, which affects metabolism of carbohydrates and may lead to hypoglycemia. 9. Be Careful with Your Fats — Animal based omega-3 fats like DHA and EPA have been touted as a heart-healthy food, and they may help with pain, as well. They can help reduce inflammation and improve brain function. At the same time, you want to eliminate all trans fat and fried foods, as these will promote inflammation. 1. Omega-3 Fatty Acids — These fatty acids found in fatty fish, like salmon, walnuts, and flaxseed, are known to reduce inflammation and help prevent cardiovascular diseases. However, their soreness-reducing traits may also help pain patients. Fibro patients often have ailments such as IBD and RA, so omega-3s may benefit them as well. Try adding salmon or walnuts to your diet, or, if you don’t like those foods, try adding flaxseeds to your cereal or oatmeal. 2. Load up on vitamin D — Many adults are deficient in vitamin D to begin with, but this vitamin can be vital to fibro patients. Vitamin D deficiency can mimic some of the symptoms of fibromyalgia. Vitamin D deficiencies can cause bone and muscle pain, and upping levels of vitamin D may help. The best way to get vitamin D is 15 minutes of sunlight every day. During winter months, supplements may be beneficial. 3. Fruits and veggies – Fruits and veggies are typically low in calories, high in fiber, and rich in antioxidants and phytochemicals. That’s good news for those who are, respectively, battling obesity, irritable bowel syndrome (IBS), or autoimmune disorders, which are all common among fibromyalgia patients. Plus, natural foods lack the additives that can aggravate symptoms. Preservatives and coloring tend to have a negative effect on a person with fibromyalgia. 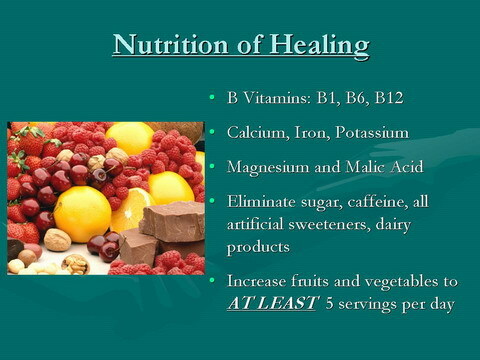 Eating more natural foods and less processed foods is very important. 4. Ginger — Reduces pain and muscle inflammation naturally. 500-1,000 mg. of ginger per day is the recommended level to help decrease pain levels. Ginger tea and other beverages are good sources of ginger root, but a powder or pill supplement may be necessary to achieve the recommended amount. 5. Water — Dehydration is one of the leading causes of fatigue, since your body’s energy is used up trying to maintain adequate water levels. Fight dehydration and the chronic fatigue associated with fibromyalgia by drinking plenty of water throughout the day and incorporating liquid-rich fruits and vegetables into your diet. 6. Garlic — Garlic has long been considered a “wonder drug” because of the many health benefits it provides. Among them are the antibiotic and anti-inflammatory properties, which can assist in pain relief and illness reduction. Fibro sufferers who experience digestive problems should avoid too much raw garlic, as this could exacerbate the issue. 7. Hot Peppers — Hot peppers, such as jalapeno and cayenne are another group of foods that provide the body with powerful antioxidants and pain-relieving anti-inflammatories. Add hot peppers regularly when preparing meals. Cayenne contains capsaicin which offers the long term benefits of reducing the intensity of pain signals sent from the nerves, and may be one of the best topical therapies for fibro. 8. Whole grains — You have probably heard a lot about the benefits of choosing whole grains over simple carbs, and these benefits are especially important for people who suffer from the chronic fatigue associated with fibromyalgia. The complex carbs in foods like oatmeal, wild rice, and whole grain breads increase energy levels and provide a steady supply of fuel for your body. Whole grain foods are not stripped of their vitamins and minerals like enriched foods, and contribute much needed vitamins and minerals that improve overall health and body function. 1. Tumeric — Reduces inflammation without hurting the liver or kidneys. It is found in curry. It is anti-inflammatory and helps in arthritis and knee pain. 3. Siberian Ginseng and Aswaganda — Both herbs support the body’s ability to withstand stress. 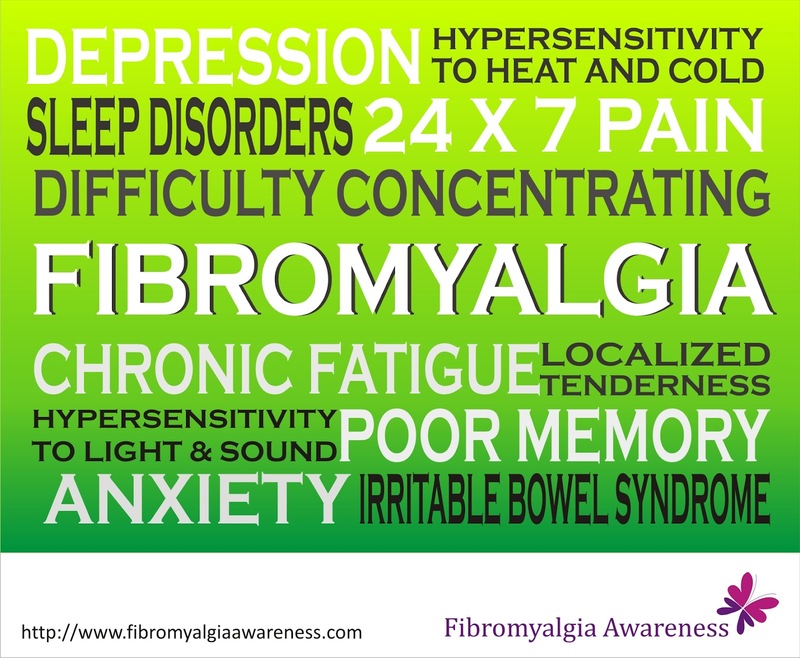 In Fibromyalgia it helps with fatigue, stress and nerves supporting the body so it can function more effectively. 4. St. John’s Wort — Helps with mild to moderate depression. In some cases is found to help with the pain associated with Fibromyalgia and CFS. Do not take St. John’s wort with pharmaceutical anti-depression medicines. 5. Skullcap — Herb used for muscle pain and spasms. 6. Boswella Cream — Herb in the frankincense family that has shown to help the pain in Fibromyalgia and arthritis. I t is used as a topical treatment and has helped many patients. 7. Capsaicin Cream — Capsaicin is the active ingredient in chili peppers. It is thought to temporarily relieve pain. When applied to the skin, capsaicin cream has been found to deplete substance P, a neurochemical that transmits pain, which desensitizes a person to pain. People with fibromyalgia have been found to have higher levels of substance P.
8. 5-hydroxytryptophan (5-HTP) — The supplement 5-HTP is thought to work by increasing levels of the neurotransmitter serotonin in the brain. There is preliminary evidence that it may reduce the number of tender points in people with fibromyalgia, possibly by effecting pain-modulating systems in the brainstem. 9. Vitamin B12 – People with fibromyalgia and chronic fatigue syndrome usually have low levels of vitamin B12 in the cerebrospinal fluid.